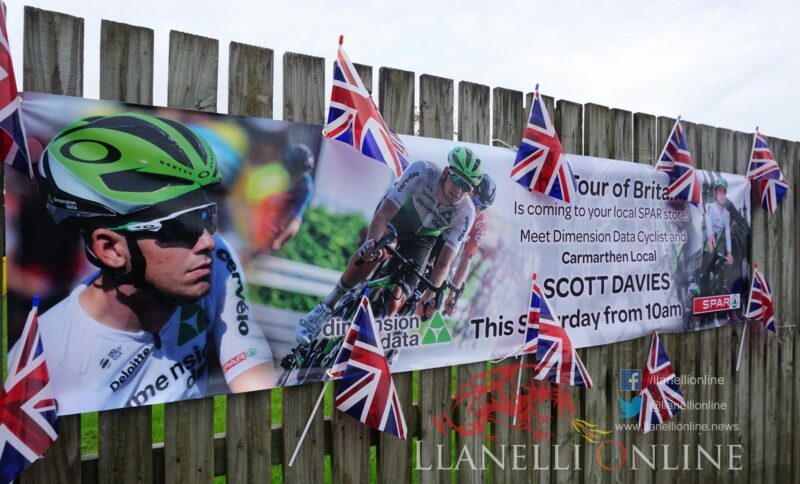 CARMARTHENSHIRE’S very own Scott Davies will be amongst those taking part in this weekend’s Tour of Britain. 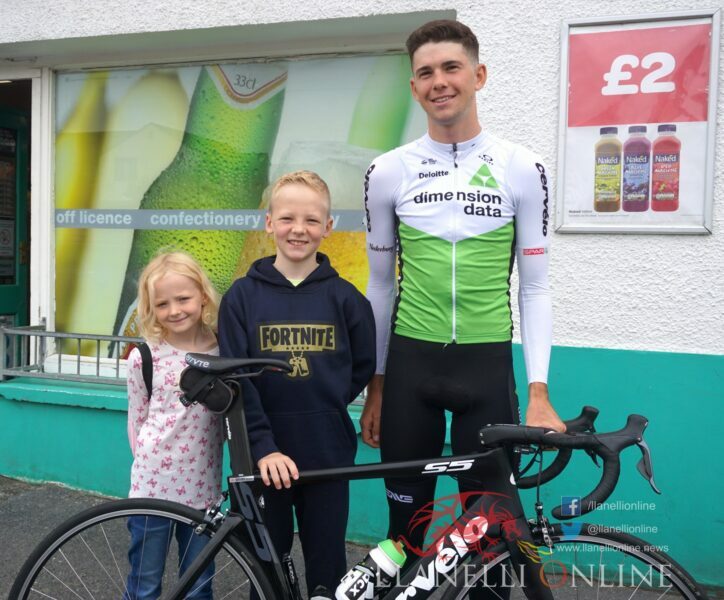 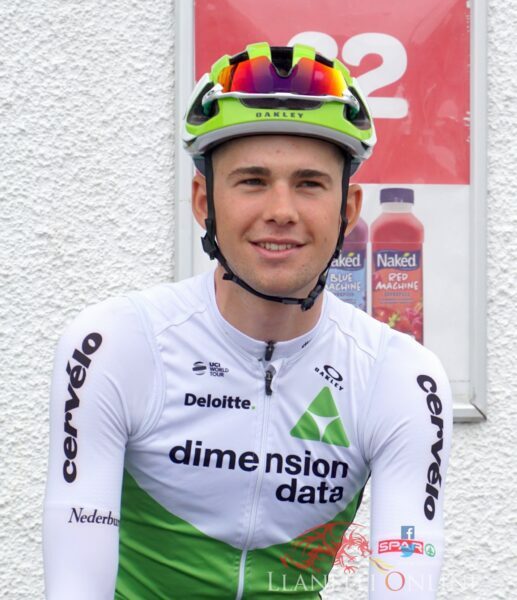 Scott will be riding with Team Dimension Data, who have linked up with SPAR stores to celebrate the Tour of Britain. 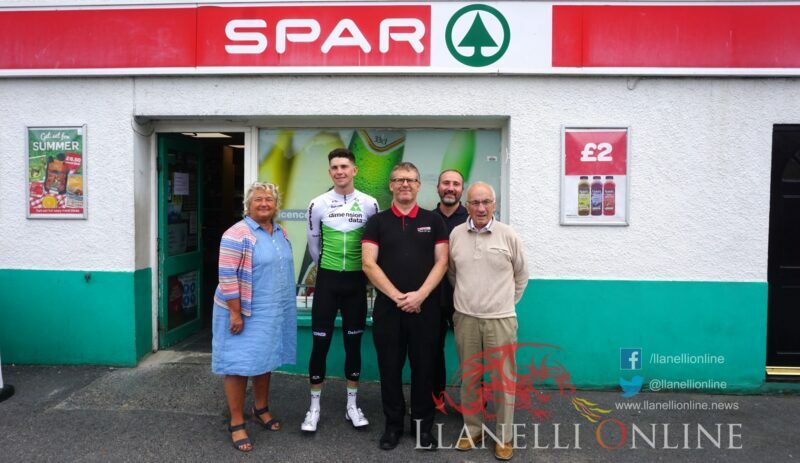 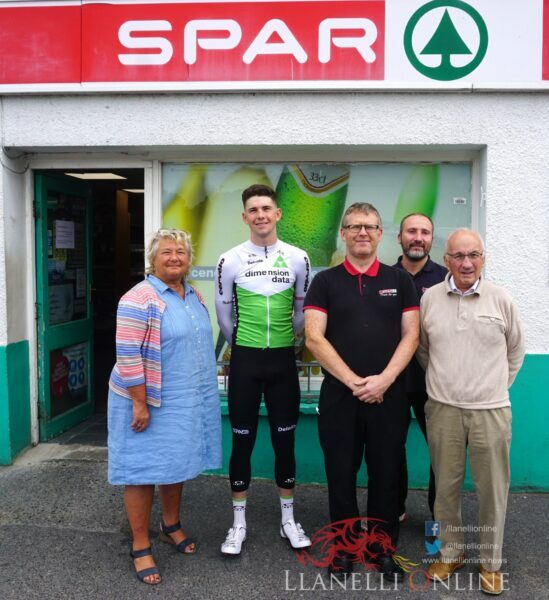 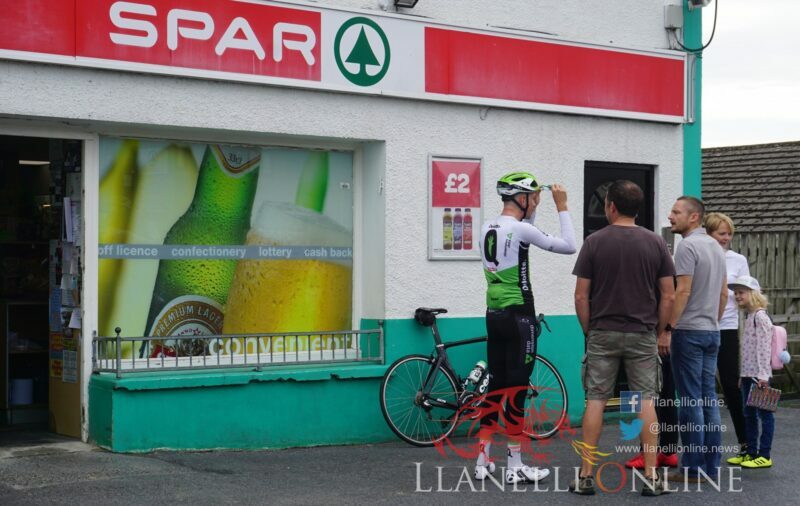 Today, Saturday (Sep 1) he took part in a meet and greet session outside the Carmarthen store ahead of tomorrow’s big race. 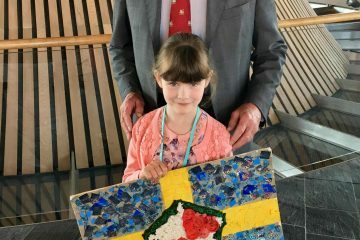 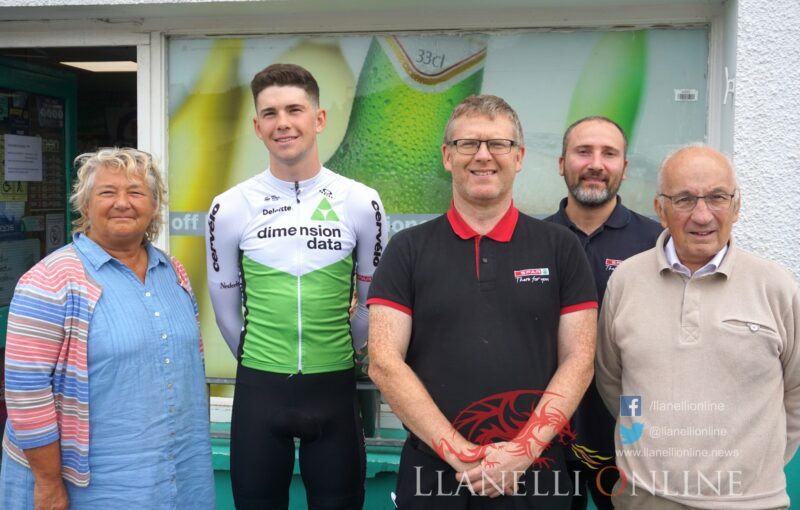 Spectators are already gearing up to give a warm Welsh welcome to Tour de France winner Geraint Thomas, whose family is from Bancyfelin, but they are also being asked to give an extra cheer to the local boy who has been confirmed for the race. 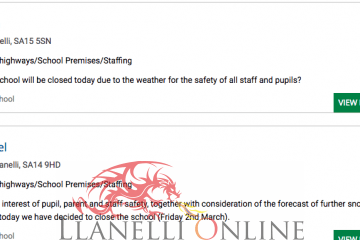 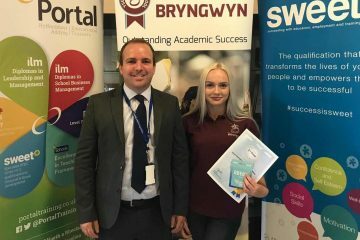 Scott, a former pupil of Ysgol Bro Myrddin, has said he is looking forward to returning to his old training grounds. 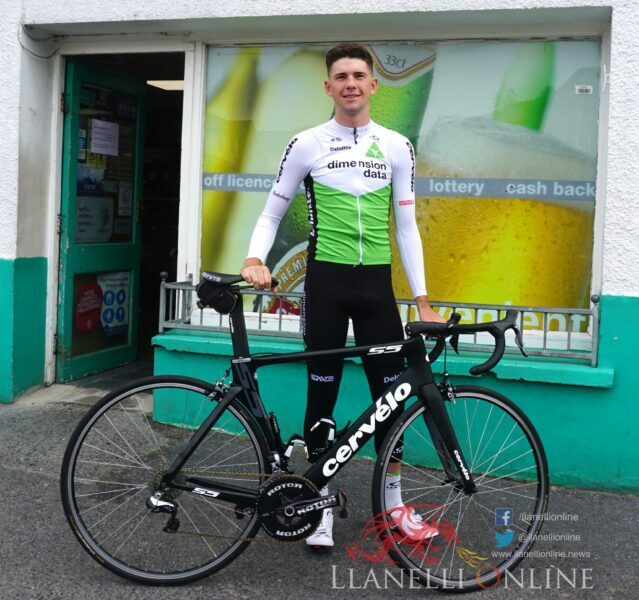 Scott is no stranger to road racing, having started out with the Carmarthen Towy Riders cycling club. 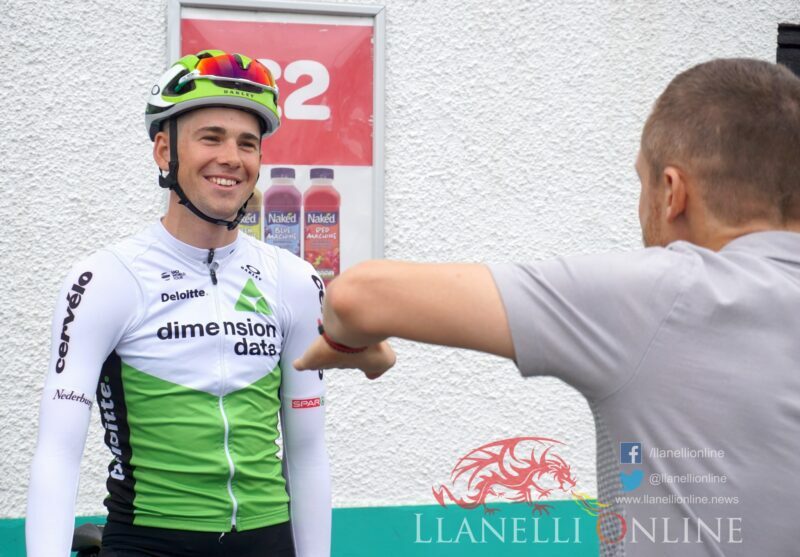 In 2014 he represented Wales at the Commonwealth Games in Glasgow, before being snapped up by Team Wiggins for the 2016 season. 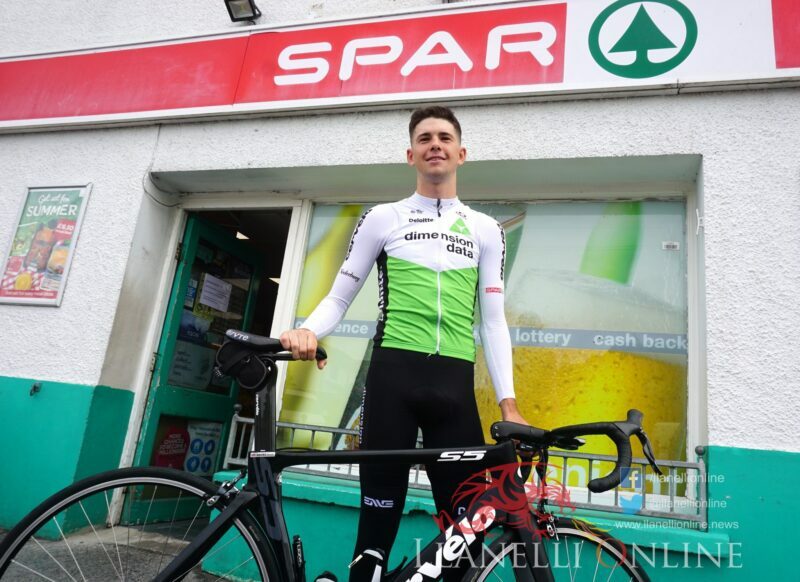 He has since raced across France, Croatia and Austria, and won the National U23 Road Championships time trials in four consecutive years between 2014 and 2017. 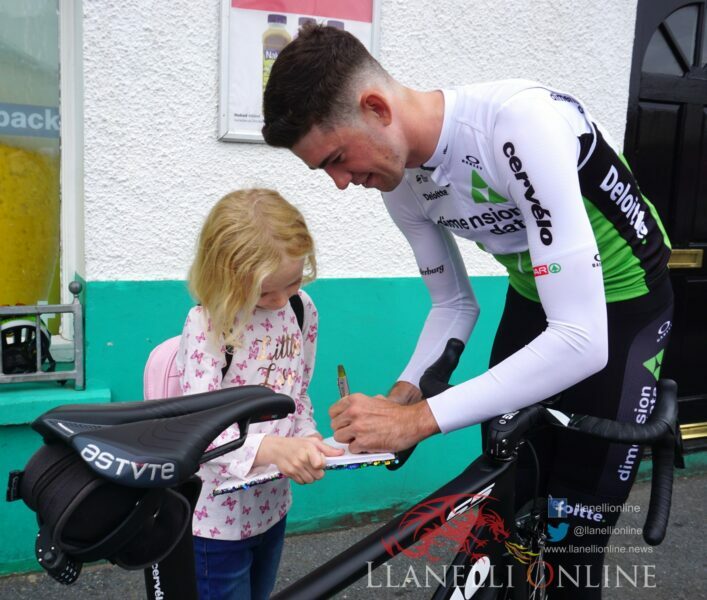 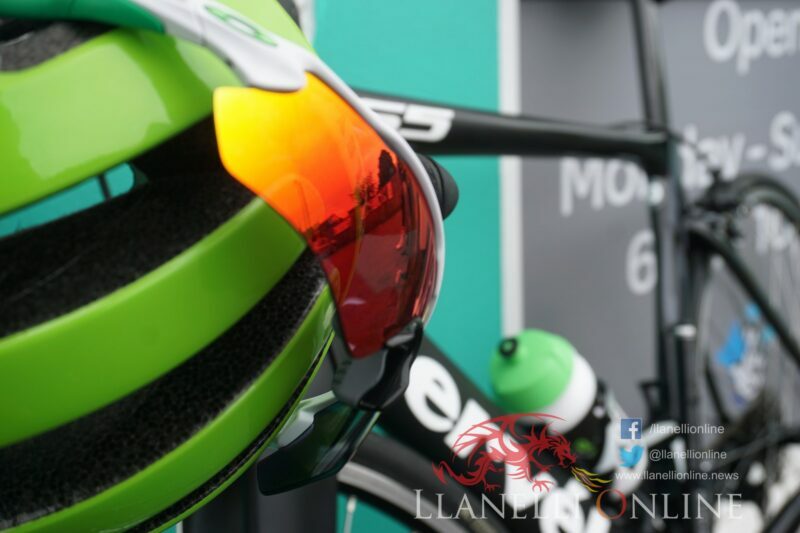 Carmarthenshire hosts Stage One of the OVO Energy Tour of Britain on Sunday, September 2. 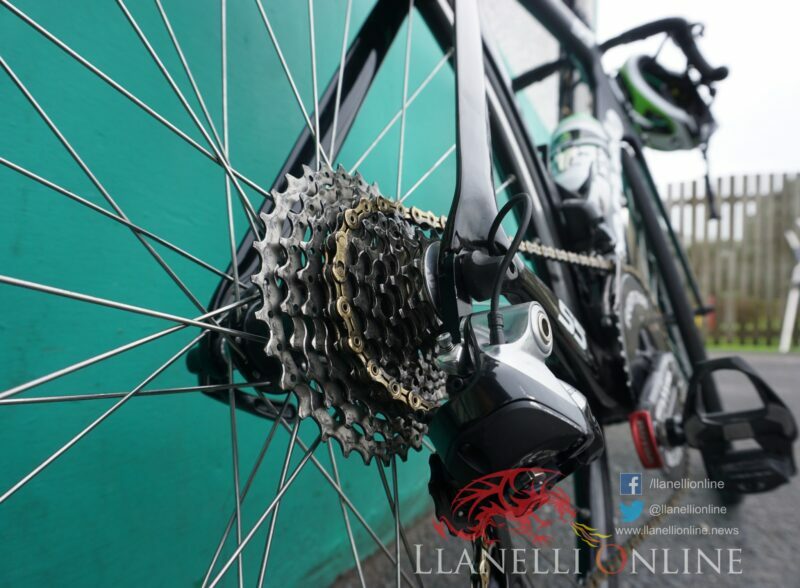 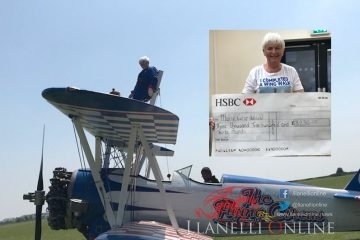 It will depart from Pembrey Country Park at 11am before travelling north through Kidwelly, Carmarthen, Nantgaredig, Llandeilo and Llandovery. 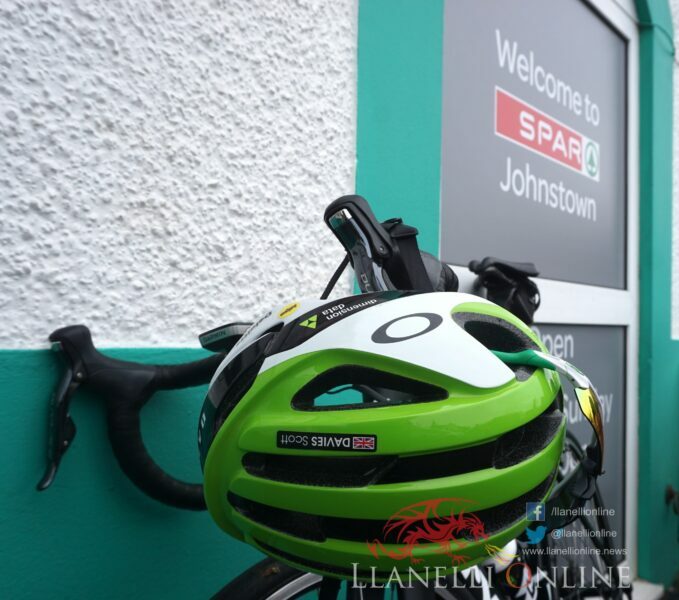 Thousands of people will line the route with several communities putting on events and giant land art sculptures for the helicopter cameras that are capturing the action live on ITV4.